Hello. Today I will show you how to install Tiger, Leopard, or Snow Leopard on your PC running Windows. This will also tell you how to dual boot Vista/7 and OS X. IF YOU INSTALL OS X (OR ANY MACINTOSH OS) ON A PC OR ANYTHING THAT IS NOT APPLE BRANDED, YOU ARE BREAKING YOUR END USER LICENSE AGREEMENT WITH APPLE! ALSO, YOU RISK MESSING UP YOUR COMPUTER IF YOU DON’T KNOW WHAT YOU’RE DOING! I AM NOT, AND WILL NOT BE HELD RESPONSIBLE FOR WHAT YOU DO WITH THIS KNOWLEDGE! IF YOU’RE NOT A COMPUTER GEEK, I SUGGEST YOU STAY AWAY FROM THIS INSTRUCTABLE, AS IT INCLUDES A LOT OF TECHNICAL STUFF! AS SAID ALREADY, I WILL NOT BE HELD RESPONSIBLE FOR ANYTHING YOU CHOOSE TO DO WITH THE KNOWLEDGE I AM PROVIDING YOU! Also, when you install Mac OS X on a PC, the PC will officially be known as a Hackintosh PC (or Hac for short). And of course, be sure to back up your data before you start, just in case something goes wrong. Step 1: WHY WOULD I WANT TO INSTALL OS X ON MY PC? Picture of WHY WOULD I WANT TO INSTALL OS X ON MY PC? Q: Why install Mac OS X on my PC if I can just go out and buy a real Mac while avoiding legal issues? A: It’s so much cheaper. In addition, Hackintosh allows you to build a PC out of your own parts (assuming they’re compatible) without needing to worry about Apple’s low-end specs. Q: What’s the difference between a legit Macintosh and a Hackintosh PC? A: There are a couple, actually. First of all, as I mentioned in the last question, a Hackintosh PC would be much cheaper. Secondly, if you have a really high end PC, it can probably run Mac OS X better than on a Mac because, Macintosh computers aren’t fast for their hardware configuration, but their operating system. Apple has made OS X so lightweight (except in terms of hard drive space it takes up) that they don’t even have to make high end computers. And yet they sell like crazy. And lastly, YOU get to choose what version of OS X you want (Tiger, Leopard, or Snow Leopard). They can’t put you on the latest version. 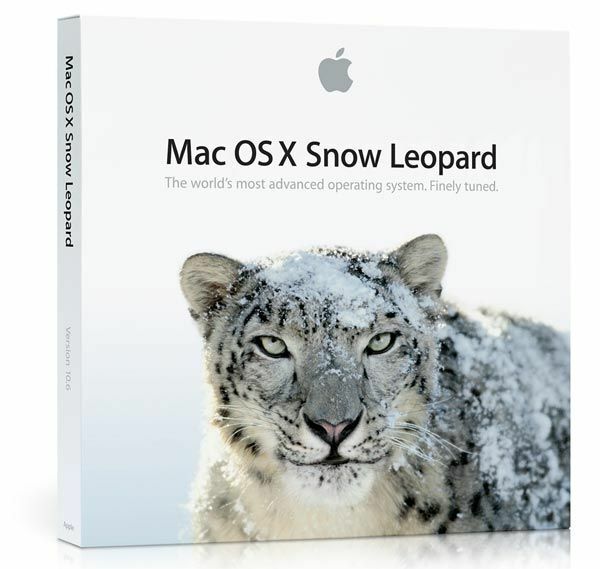 Q: Why would I want Tiger or Leopard when I could just install Snow Leopard, the latest version? A: Snow Leopard, like all other OSes, has system requirements, unfortunately. Your PC might not be able to handle the intense awesomeness of Snow Leopard. Step 2: IS MY COMPUTER CAPABLE OF RUNNING OS X? Picture of IS MY COMPUTER CAPABLE OF RUNNING OS X? 1GB of RAM or more. DDR2 works, don’t know about any other kinds. AT LEAST 8 GB (estimate, don’t know exact amount) of free hard drive space. People complain that after dual-booting their system doesn’t work right. They are forgetting to partition. So, what is a partition, you ask? Well, partitioning is kind of like splitting your hard drive into little bits (not physically). To oversimplify, it’s basically reserving a certain space on your hard drive for something else besides what you already have. Partitions can be used for recovery, installing other operating systems on your PC without harming the original (what we’re using it for), organizing your hard drive into categories (pictures, videos, music, etc. ), and many more things. For this OS install, we’ll need to make a partition specifically for OS X and the programs within it. If you’re using Windows Vista or Windows 7, you’re in luck. The two have built-in, easy to use partition managers. Windows XP has one too, but I don’t know how to use it, so I recommend EASEUS Partition Master (Home edition is free, and does what we want it to do), which can be downloaded from CNET’s Download.com. Once you have that, try looking on Google or YouTube on how to partition. Create a partition for your OS X installation and move on to step 5. There are many different patches of OS X that are designed to work with PCs. iDeneb, etc. Try to find an ISO image of the OS you want. Torrent sites are great for this, but if you’re using a torrent site and are downloading it with a torrent client, expect it to take at least an hour for it to download at the minimum. Torrent files are very large, and take a large amount of time to download. If you’re doing Snow Leopard, you’re looking at around 4.3GB. That’s more than half the amount of storage space on the average iPod (unless it’s more than 8GB). NO PIRACY! This bears repeating, my friends. You should NOT pirate software. If you go to retrieve the ISO off the Internet, at least have a license for OS X. The people over at Apple work hard to create an operating system that a lot of people like. You should at least buy a license to help support the workers at Apple and let them feed their families. You’ll need a blank DVD-R for this step. After it’s finished downloading, open it with Nero or some kind of disc burning software and burn the ISO to the DVD. It’s important that you use a DVD, not a CD. CDs can only hold up to 700MB of space. The humble DVD-R (single layer) can hold up to 4.8GB. Double layer DVDs hold up to 8.5GB. OK, now that that’s done, insert the DVD into the computer if the PC ejected it, then reboot the computer. If your BIOS is already configured to boot from CD/DVD drive, it will boot directly from the disc. If nothing happens and your computer loads Windows like normal, you’ll have to configure your BIOS to boot from the CD/DVD drive (the process is slightly different depending on what computer you have, but a quick Google search should bring you instructions). If you already know how, then configure your BIOS to do so. You’ll see the default OS X cursor on the top left corner of the screen, and a box will appear saying “Use English as the main language” and many other choices in different languages. In this case, English. Then click the arrow. A window will come up. The OS X installer. The essential part of the installation. Click Continue when you’re ready to proceed. The OS X installer, like most other installers and wizards, is pretty easy to follow through, so I’ll spare you the text. There are TWO things I should point out though. When the installer asks where to install OS X on, you’ll notice there’s no place to put it. But have no fear, this CAN be fixed easily. Click on Utilities at the top of the screen and click on Disk Utility. Disk = Hard Drive, USB Flash Drive, etc. Anyway, once in the Disk Utility, select the partition you made for OS X and click on the Erase tab. NOTE: Be sure you select Mac OS Extended (Journaled). That is the best partition format for OS X to be partitioned on. Then click Erase. MAKE SURE THE PARTITION YOU SELECTED IS NOT THE WINDOWS PARTITION IF YOU’RE TRYING TO DUAL BOOT! If you select the wrong partition, then you’ll be stuck with OSX. The second thing: when you’re about to install, (to be exact, on the “Installation Type” screen) MAKE SURE YOU CLICK “CUSTOMIZE”! You MUST configure the settings for your specific PC. When that’s all done, click “Install”. Step 10: Done (not necessarily)! And no, I didn’t make that video. Credit goes to acdcdude55 on YouTube. Just skip to the part where he’s done installing OS X, and follow instructions from there. Thank you for reading this Instructable, and I hope you have success! But wait! You’re not quite done! Have you ever installed Windows XP on a computer? If so, then you’d know that after installation, you have to install drivers. If you’re unfamiliar, drivers are pieces of software that tell the operating system how to use the hardware it’s presented with (say, a graphics card, a sound card, or even external devices such as a game controller or webcam). Well, Mac OS X doesn’t use drivers, but the principle is the same. It needs to know how to properly use the hardware in your computer. This is where kext files come in. Kext is short for Kernel Extension. It basically is the OS X equivalent of drivers. After installing OS X you’ll need to hunt down the proper kexts for your system. If you’re lucky, kexts for the hardware you own will be available by default (for example, I downloaded an OS X update and included was a kext for my AMD Radeon HD 5670). Other times, you’ll have to Google search for them. This is a good time to have another computer on hand, or to boot back to Windows. The reason for this is because since OS X doesn’t know the hardware in your computer, it might not be able to connect to the internet. Anyway, just search “mac os x (version) (model of hardware you want) kext.” I can’t guarantee there will be kexts available. Since Apple only makes kexts for the hardware they support, all the kexts for unsupported hardware must be made by dedicated programmers. Step 11: One More Thing! I’d just like to make it clear that suggestions WILL be accepted, and credit will be given to any person who writes me a suggestion.